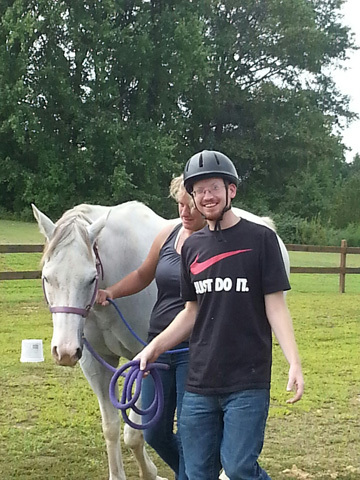 Since September, 2014, GHA has offered an Equine Assisted Therapy Program for individuals with autism. 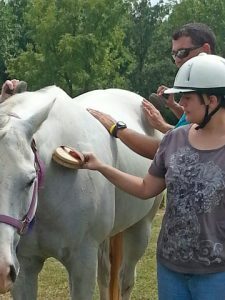 This unique program allows participants to engage directly with certified therapy horses, and includes all aspects of horsemanship. 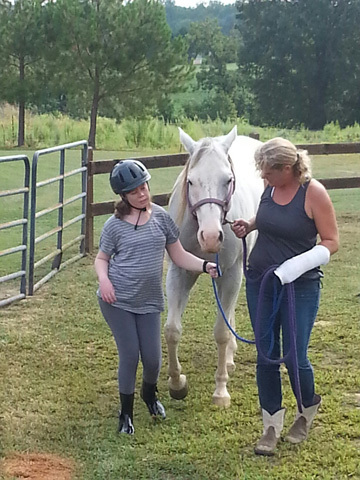 Basic anatomy, grooming and tack education, cleaning saddles, chores, ground work and of course horseback riding are all part of this exciting, therapeutically-based activity. 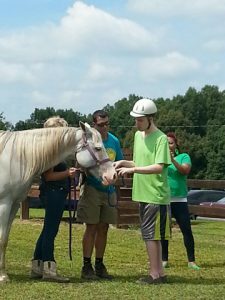 Therapeutic riding uses equine-assisted activities for the purpose of enhancing a person’s cognitive, physical, emotional and social well-being. The horse’s gentle rhythmic movement helps increase the balance, muscle control and strength of riders. Our instructor’s individual lesson program approach strives to teach horsemanship skills to suit each rider’s age, ability and experience level. 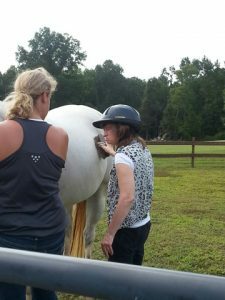 Our lesson horses are well trained and their experience allows them to be real confidence builders for all. We take pride in ensuring our students have safe, well cared for, horses to work with. We supply well maintained tack and safety approved helmets for all riders. In addition, we work hard to maintain the cleanliness of our barn and riding facilities. 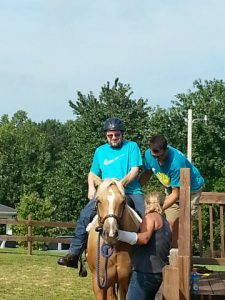 Horseback riding motivates participants to increase their levels of concentration, patience and discipline, and not only focuses on the skills of riding, but also provides opportunities for recreation, social interaction as well as the development of a relationship between horse and rider, allowing riders to overcome fears and develop trust in the therapeutic team. 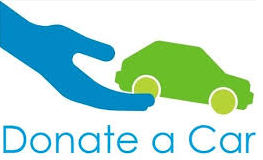 Our goal is to promote a fun, healthy and highly interactive program that involves a positive connection between humans and horses. 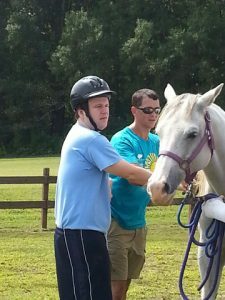 For more information, on the GHA Autism Supports Therapeutic Riding Program, please contact Anna Walker at annawalker@ghainc.org.